When you are driving your posture is just as important as in the office or walking around. For some it is a major aggravating factor of their pre-existing problem, but for many people it can actually be the cause of their pain, especially if they regularly in the car for over an hour at a time. Not only does this affect the spine but also shoulders, hips and knees. So what is the correct way to sit? Start by pushing your hips to the back of the seat so your back is against the seat. Move you chair forwards close enough so that when your feet push the pedals there is still a slight bend in your knee and your thighs can relax on the chair. The steering wheel should be positioned so that it can be turned fully without having to lean forward. For long motorway journeys keep your hands and elbows low at your sides so that you shoulder and neck muscles can relax. 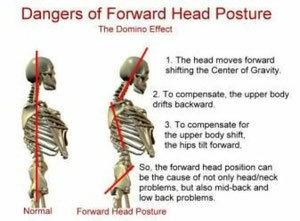 Your head should be approximately one inch from the headrest and in a position that avoids forward head carriage (see my other blog; domino effect of poor posture). If I haven't answered all your questions feel free to ask on your next visit!